We give you the tips you need to stay safe on the road with our caravan safety checklist. Safety is always paramount on the road, but there are extra considerations when towing a caravan. Our caravan safety checklist will help ensure you have a safe and happy holiday. 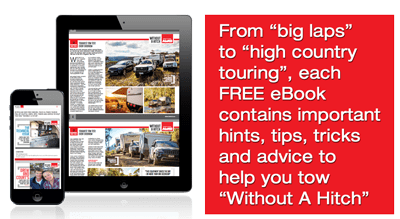 Even if your caravan is regularly maintained, you should always do an extra maintenance check [link to article: How to do a caravan maintenance check] prior to and during a trip. Your car should also be well maintained and checked over. Keep an eye on the oil, water, brakes, rear-view mirrors and battery. If in doubt, have it looked over by a professional mechanic. Tyres are of absolute importance when towing a caravan. See the manufacturer’s handbook for the recommended towing tyre pressure, and check their condition regularly. As part of your caravan safety checklist, regularly monitor the caravan’s brakes during each trip to make sure they’re not overheating, remembering that caravan brakes do run hotter than car brakes. Check for any unusual smells or smoke coming from the brakes, and make sure they feel like they’re working well when you’re stopping. Disconnect all gas, electrical and water connections in your caravan while traveling. It’s a legal requirement to fit a smoke alarm and fire extinguisher in your caravan. Test it regularly (but not by burning the toast!) to make sure you and your family are kept safe. If you have a portable heater in your caravan, make sure you’re careful about where you place it – keep it away from furniture and all gas, electrical or water fittings. When traveling, always listen to local radio stations so you’re aware of any fires or other emergencies nearby or on your intended route. When you’re based at a caravan park, make sure you familiarise yourself with their emergency procedures too. Whether you’re stopped in a town for lunch or based at a caravan park, keep your caravan and car locked up whenever you’re away from them. It’s a good idea to install a safe in your van for valuable items. Take out, or update, an insurance policy on your caravan and its contents, just in case anything untoward happens. Keep all items in the caravan secure while driving. Close the fridge door, ensure all cupboards, windows and doors are well sealed and closed, and the awning is packed away and locked in. Store the jockey wheel safely, either locked into position or securely packed in the car or caravan. If you’re not 100 per cent confident in your towing ability, have some caravan towing lessons. For further safety and peace of mind, have electronic stability control fitted to your electric-braked caravan by a certified installer. Before purchasing your caravan, ensure it’s compatible with your vehicle. While traveling, check on the coupling connection and safety chain at every stop. When driving, pull over at a safe point if there are cars wanting to get past. If you wish to overtake someone, wait for an overtaking lane rather than crossing to the lane of potential oncoming traffic. Leave plenty of room between you and the vehicle in front to allow extra braking distance. Safety should always be your first priority, so make sure you follow the guidelines in this article. Before any trip, always do a pre-travel safety check.